SP 850 XP hydraulic pivoting stiff legs are available on the Century® 7035 or 9055 and Vulcan® V-70 or V-100. 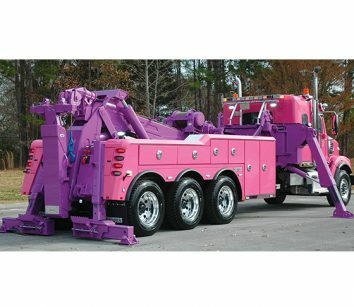 This option provides the operator with two 35,000-lb. hydraulic winches on the pivoting stiff legs along with the standard winches on the boom. The SP 850 XP is ideal for tough sidepull recoveries on narrow roads or where you can’t block lanes of traffic. Call 800-292-0330 or visit MillerInd.com. 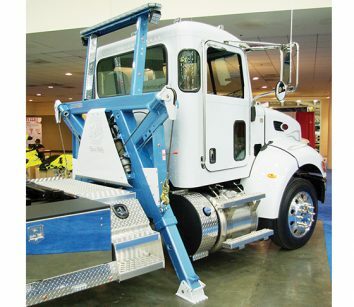 Dual-Tech Side Puller, dual wireless remote winches with air release, wire ropes, hydraulic stiff legs, chain pockets, adjustable pylon and tie back points, 2-yr. manufacturer’s warranty. Available in 9K, 10K and 12K cap. on carriers or wreckers with chassis 24K GVW or more. 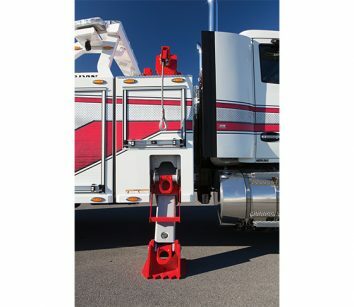 Design allows the operator to perform recovery work from either side without having to climb on and off the unit to constantly adjust the direction of the pull. Visit www.dual-techinc.com or call 800-852-0345 for more details. The Jerr-Dan Side Recovery System (SRS) series offers product versatility by adding unparalleled recovery capabilities to any unit. SRS-25 and SRS-35 offer maximum pulling capacity and versatility to the heavy-duty product line. 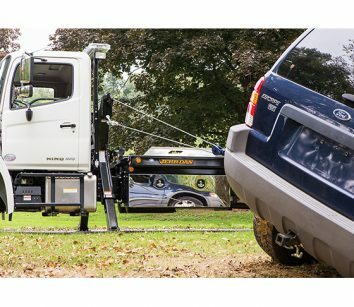 Hydraulic pivoting recovery boom makes recovery from either side of the vehicle possible. Independent, self-stowing, flip-down claw/spade allows for greater holding power. Call 800-926-9666 or visit www.jerrdan.com.